The battle begins! And, since this is such an important and epic event, I will be updating twice this week--today and on Friday. I was preparing to draw a logo for Weirdo-Freak, since Hate Frog had a logo last week, when I remembered that I'd already drawn one. It was for the Weirdo-Freak web comic, which I had forgotten about, and which was last updated in July 2014. I need to get back to scanning and posting those pages. 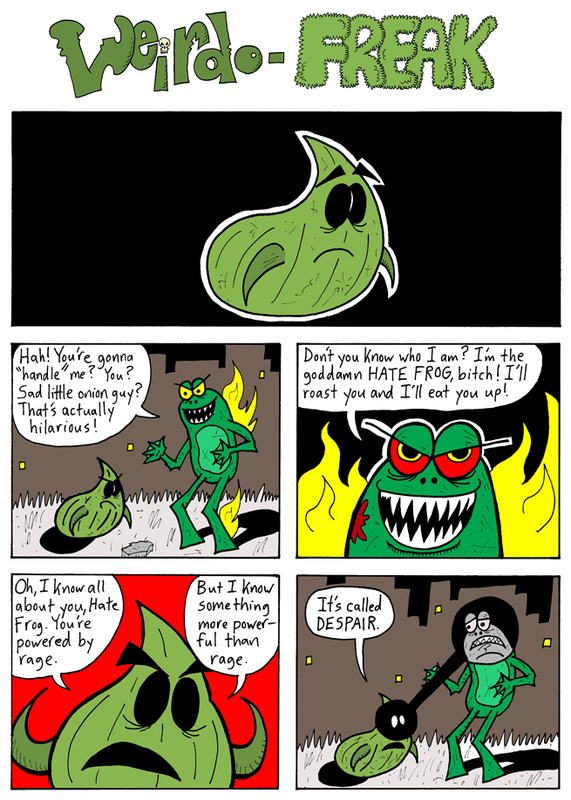 IN JUST TWO DAYS: Can even Hate Frog resist the power of despair?! ?